Does not last the length of time as avertised. Best product I have found to kill fleas!! No ticks for few months! Best Product you can buy. Great Product!! Such a relief. Dog HATED topical treatments !! 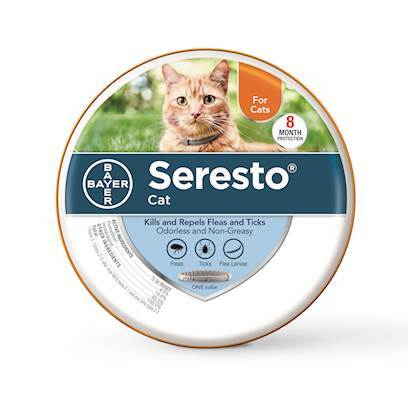 The Soresto collar hasn't kept the ticks off of my cat.